ScotlandIS, the trade body for Scotland’s digital technologies industry, is calling for policy makers to take action in five key areas to limit any negative impact caused by the decision to leave the European Union. Its five strategic priorities are access to markets, people, productivity, research and academia, and regulations. The call for action comes after a ScotlandIS member consultation found the majority of respondents are concerned about the impact of the EU referendum result, with three quarters predicting it will negatively impact access to skilled staff, sales, and customer confidence. On exports 62 per cent said that they anticipate a negative impact on their ability to increase sales overseas, and 22 per cent would consider relocating their business. Respondents were split on the question of their ability to attract growth capital, with 53 per cent expecting a negative impact compared with 47 per cent predicting no change or a positive impact. 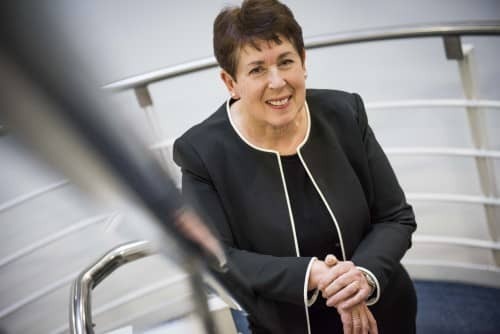 Polly Purvis, chief executive of ScotlandIS, says: “Businesses in Scotland’s digital technologies sector are looking for decisive action that will reduce economic and political uncertainty, protecting sales and customer confidence. In particular, they want reassurance and certainty about the future status of EU citizens working in the UK and vice versa. “The digital technologies industry makes a significant contribution to the Scottish economy and we believe it will become even more important in coming years due to its flexibility and international outlook. Furthermore, digital technologies can help all sectors of the economy to increase productivity through, for example, business and process transformation, ecommerce and the increased use of data analytics to inform decision making. This represents an exceptional opportunity for our industry as significantly increased productivity must be one of the key strategies for Scotland’s economy to remain competitive post-Brexit. “Negotiators must take the needs of our industry into account, including continued access to the European Single Market and to EU research funding, when agreeing the terms of our new relationship with the EU. “While negotiations on eventual exit will take time, we want the UK and Scottish Governments to take immediate action on skills and productivity, to create a competitive workforce truly capable of meeting today’s and tomorrow’s challenges with a clear commitment to digital skills education for everyone. This will be more important than ever in a post-Brexit business environment. Markets – Continued access to the European Single Market is the ideal outcome, allowing trade to continue without barriers. Failing that, tariff free arrangements for future trade with EU countries. People – The digital technologies industry is already facing a skills shortage and Brexit uncertainty is a serious threat. ScotlandIS is calling for a) all EU citizens currently living and working in Scotland to be granted indefinite leave to remain, and b) continued easy access to skilled EU workers in the future. Scotland and the UK must also refocus efforts to ensure we have enough homegrown digital professionals in the years to come. This means increased spend and commitment to digital technology skills education, both upskilling those already in the workforce and giving young people the ability to thrive in the digital world, as set out in the ICT and Digital Technology Skills Investment Plan. Productivity – We have an opportunity to counter the effects of uncertainty and stimulate the economy by making Scotland a more competitive and productive place to do business. We welcome the First Minister’s announcement to provide an additional £100m funding boost for infrastructure projects and urge the Scottish Government to allocate part of the funding to digital connectivity projects. Research and academia – Scotland is renowned for its research expertise in computing science and informatics. Our universities and researchers need continued access to EU research funding and talented staff and students from the EU and beyond so that they remain globally competitive. The success of the research base is essential for innovation and to ensure Scotland continues to produce cutting edge start-ups and spin out companies for the future. Regulations – British negotiators must take the requirements of digital businesses such as data hosting providers and FinTech companies into account when striking new deals for data protection and financial services. In many cases, law and regulation will likely remain harmonised to a degree if we want to continue doing business with EU countries, and the trick will be to identify opportunities for streamlining regulation where they exist and making the UK an attractive place to host data and conduct digital business, whilst working within that wider harmonised framework. Scotland’s digital technologies industry generates more than £5 billion in GVA and, according to KPMG’s Tech Monitor, the number of tech sector enterprises in Scotland grew 43.3% between 2010 and 2015, second only to London (54.6 per cent). More than 84,000 people currently work in digital technologies roles across the Scottish economy.